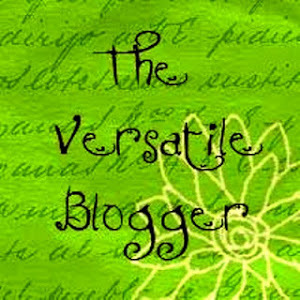 Mail4Rosey nominated me for The Versatile Blogger Award. Thank you! I never know what to think of awards like this. It's an honor, at the same time it's work finding other blogs to award and notifying them. I generally feel like I'm passing on an award and more work for them to do. HA HA It's kind of like chain mail. It's cool, but busy work. I took photos for our Christmas card tonight. I hope they are going to work. Otherwise it's retake time. I was super shy as a kid. I also struggled in school. I always worry about my kids being the same way as me. Mica's doing great though. Isaak's too little to tell. I went on to grad school, so I didn't do horrible after all. I can no longer wear shoes with heels. I have special arch supports. That pretty much limits what I can wear shoe wise. I don't wear a lot of make-up. I don't like going out of the house without lipstick on though. My favorite color to wear has to be a bronze color. I like spring and summer much better than fall and winter. Sure fall is pretty, but it's also a sign that it's going to get cold, lifeless and dark outside. I love reworking old furniture. It's fun and rewarding. Check out the blogs, they rock! Congrats on the well-deserved award, A! And thank you so much for awarding it to me! Awwww! You are sooooo sweet! Oh goodness, thank you so much! You're such a sweetheart! I was super shy as a kid, too, and to know me now - no one would ever believe that. Thank you so much! I don't have time to post about awards, but that doesn't mean I don't appreciate them. You should show some more of your reworking projects so we can see! Wow, you're on the ball with the Christmas card photos!